An invitation to my kitchen where there's always something cooking. 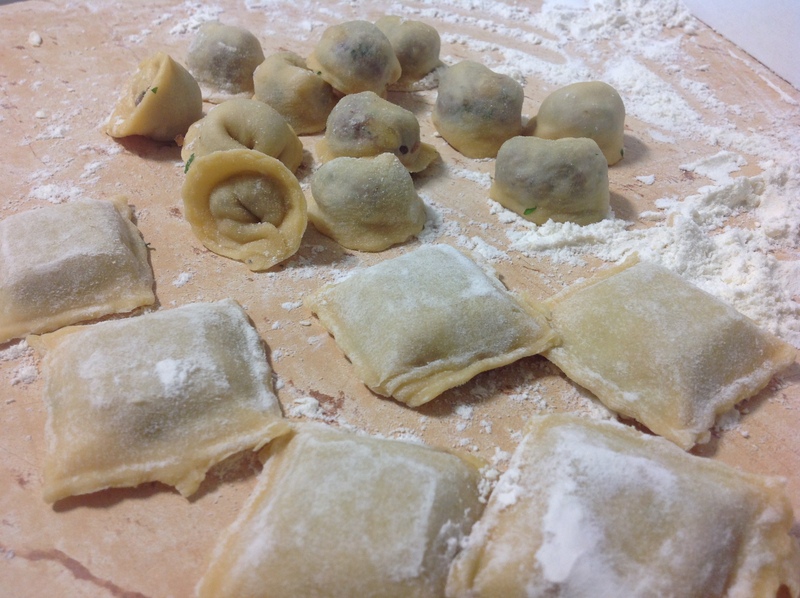 Pasta parcels stuffed with minced beef, pine nuts and parsley. These little lovelies are stuffed with a filling that is usually used in a Lebanese Yoghurt and Dumpling Soup which I will one day blog. But for now this is what I’ve been craving for a few days. Mix the flour and salt together in a medium bowl. Make a well in the centre and add the eggs and olive oil. With a fork break up the eggs and slowly start bringing the flour into the middle with the egg. Once all the flour has been mixed into the egg tip it all out onto a clean floured surface and using your hands bring it together into a ball and knead for a few minutes until smooth. Cover and let it rest while you prepare the filling. Mix altogether in a small bowl. 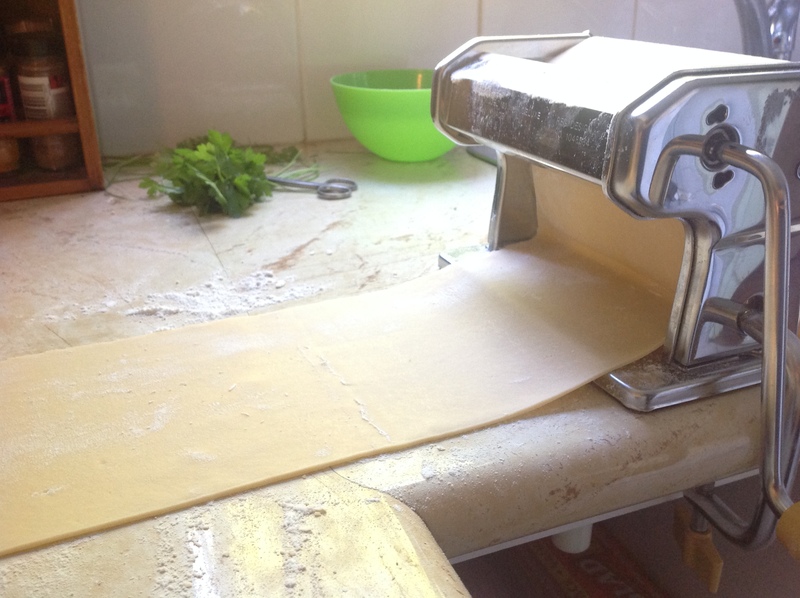 If you don’t have a pasta roller, roll out the dough very thinly. If you do roll the dough out to number 5 on the setting wheel. 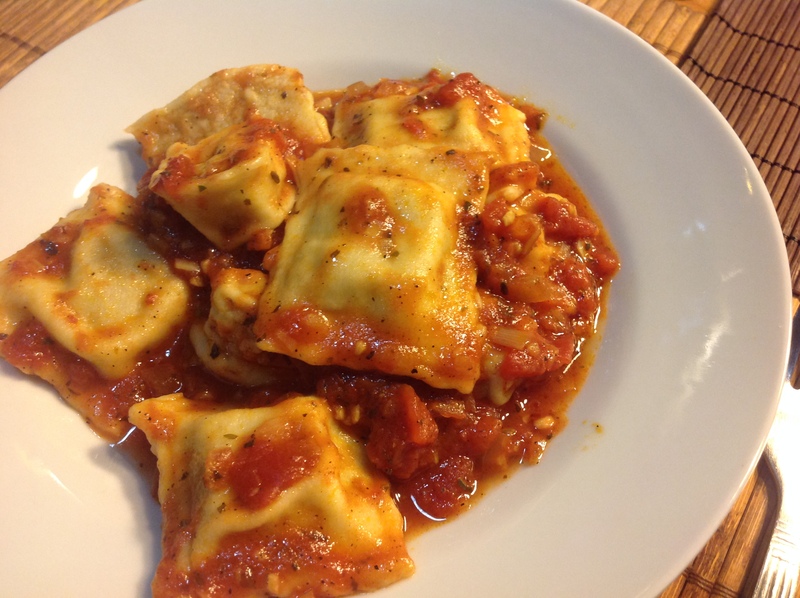 I recently bought a ravioli mould so I though I’d try it out. Think I need a little practice on it, but not too bad for a first go. 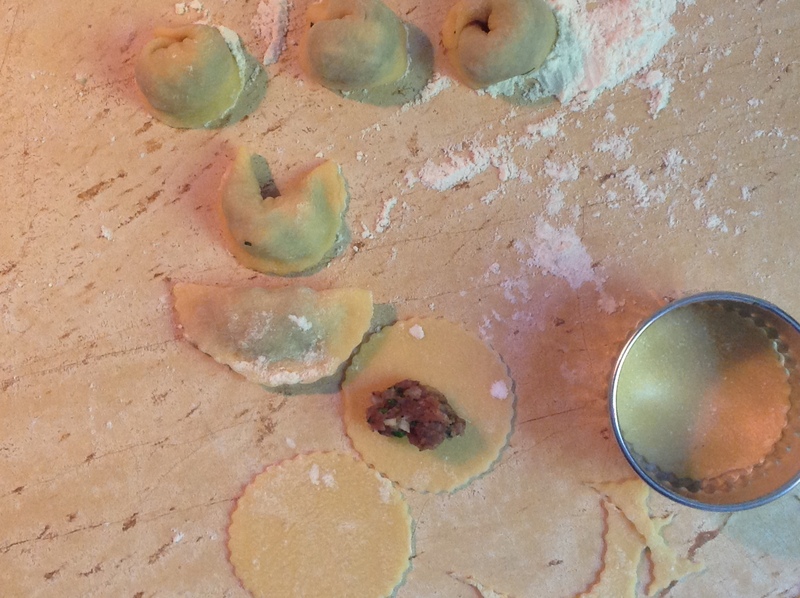 Or you can make tortellini by cutting out little circles (about 5 – 6 cm diameter). 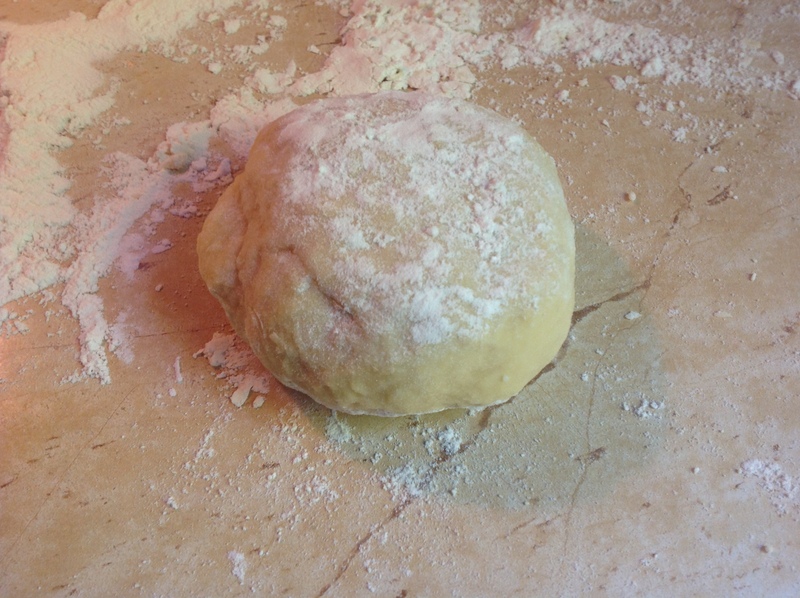 Place a little filling (about 1/2 – 1 tsp) in the centre of each circle. Fold each over to form a half moon and pinch the edges together to seal. 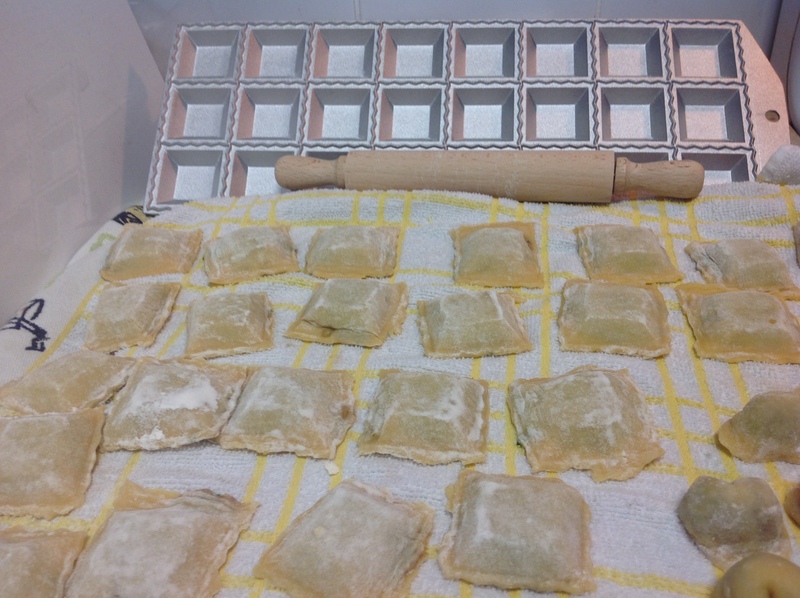 Bring the corners of the flat egde together and press them tightly to form the ravioli. 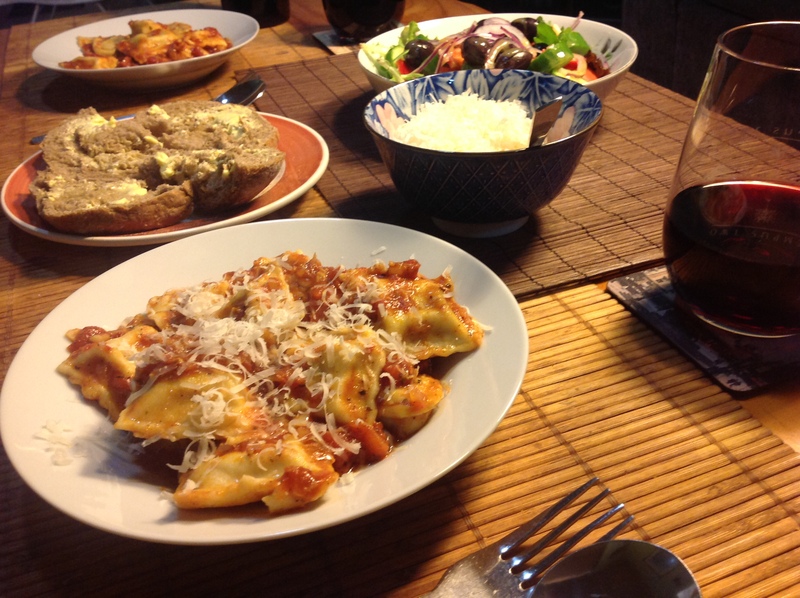 Leave on a floured surface or clean tea towel while you get the pasta sauce ready. 1 – 2 tsp dried Italian herbs or (if you’re lucky enough) some of your favourite fresh herbs i.e. basil, oregano, lemon thyme, chilli etc. In a large fry pan heat the oil and add the onion and garlic. Cook, stirring for a minute or two then carefully add the tomato and give it a good stir. Add your herbs, season with salt and pepper and bring to the boil. Turn the heat down to low, cover and allow to simmer for 30 minutes or until the tomatoes have broken down and you have a thick luscious sauce. Bring a large sauce pan of water to a rapid boil. 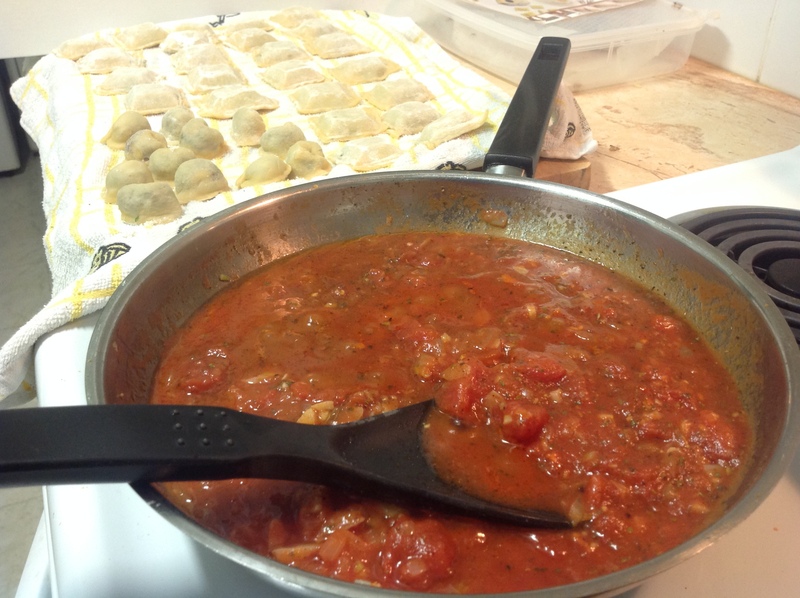 Add a couple teaspoons of salt and gently lower your tortellini or ravioli into the water, give a little stir. Once the pasta floats to the surface, give it 5 -6 minutes more then lift them out with a slotted spoon and add them to the pasta sauce. Toss together for a couple of minutes and it’s ready to serve. We Have Pies for Dinner?? ?